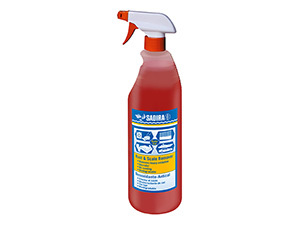 Removes heavy oxidation from iron, chrome, steel, stainless steel, wood, paints and fiberglass/gelcoat. 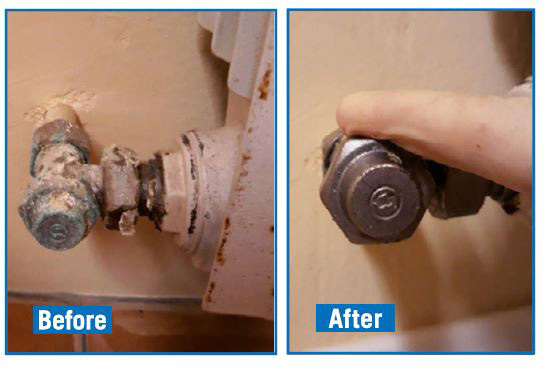 Scale and rust stains remover in pipes, circuits, WC and taps without damaging them. 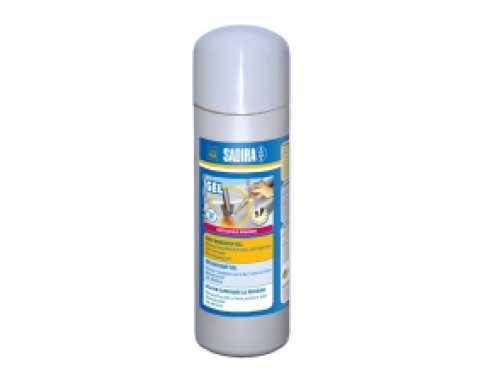 Applications: on any surface of steel, stainless steel or iron. 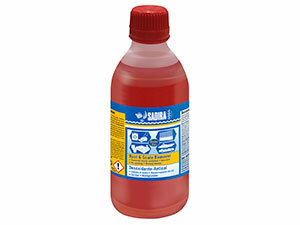 Clean the rusted surface from grease, oil, paint or dirt. Apply with brush, roller or by dipping. Let it work from 2 minutes to 1 hour depending on the degree of oxidation. Rinse thoroughly and brush to drag the rust detached. Let it dry. Surface dried should be protected against new oxidation by using a rust preventive product.